The Challenges – Today, most Fortune 500 size companies have an abundance of mission-critical data to manage that continues to grow at a seemingly never-ending pace. At the same time, z/OS storage management personnel with decades of experience are retiring and less experienced personnel are agonizing under the load of trying to manage this data while attempting to quickly gain the vast experience needed to manage these environments. In addition, data centers are being combined to reduce costs, which results in increasingly complex storage environments. Worse yet, yesterday’s leading storage management tools don’t necessarily meet the needs of today let alone the near future. The Solution – The Universal Data Manager (UDM) from Dino-Software arms your storage management personnel with a comprehensive, modern and centralized GUI-based solution for managing z/OS storage on an enterprisewide and holistic basis through a single pane of glass. Designed and created in recent years, UDM incorporates modern techniques and technology, making the solution easy to install, use, upgrade and expand. UDM’s architecture uses multithreading and communicates simultaneously via TCP/IP, providing a fast, and efficient method for analyzing storage. While all vendors claim their product is easy to install, UDM just might be the easiest of them all. Installation really is as simple as: downloading the XMIT file, authorizing the LoadLibrary and running the one step installation JCL, then starting the host servers. According to Dino-Software, these four steps can be completed in as little as 15 minutes. However, even if it takes an hour, this is truly a welcome change from solutions that can take days or weeks for each system or Sysplex to install. Upgrades are as simple and require the user to simply run the install JCL, which points to the updated XMIT file. Once installed, UDM emanates simplicity in other ways. It’s easy to use with a common GUI-based interface and powerful data mining capabilities. With the common interface, learning and performing tasks are streamlined, saving time and cost. For example, the same interface is used for generating and running a report as well as generating and scheduling an automation task. Learning storage management is also aided by the incorporation of educational facilities within UDM in the form of delivered reports, monitoring processes, commands and JCL decks. The powerful capabilities of UDM make it easy to accomplish simple and complex tasks. For many, Big Data is more theory than practice. 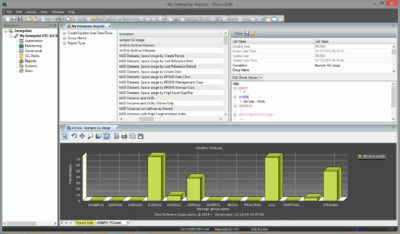 UDM makes Big Data management a possibility with its use of powerful SQL filtering and multisystem analysis capabilities. Finding a needle in the haystack now becomes a possibility. Analyzing the current situation is one thing, but predicting situations is another. 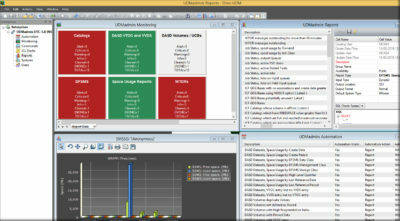 UDM can analyze trends by automatically creating data for all objects, DASD or Tape. Using the reporting interface, a user can simply point an analysis request to the history files to view the historic information for an object like growth of storage groups. Finally, UDM is flexible. Defined actions or processes such as an automation process or report query can easily be ported to another data center. Any requests can be directed to multiple systems without complicated customization, and information from all systems is returned to a single pane of glass, providing a true holistic view. The Bottom Line – The UDM storage management solution from Dino-Software provides a complete and modern solution for managing today’s and tomorrow’s increasingly complex and expanding data storage environments. 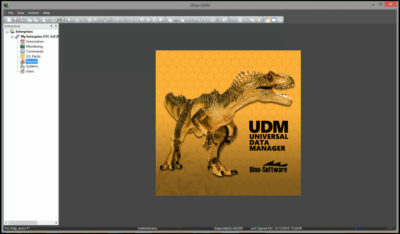 To learn more about Universal Data Manager, contact Dino-Software at 703-768-2610 or visit the UDM Website or Dino-Software.